What Can You Do With London Broil Steak? T-bones contain strip loin and tenderloin muscles. 3 What Can You Do With London Broil Steak? Some of the best cooking methods for T-bone steaks involve direct heat. 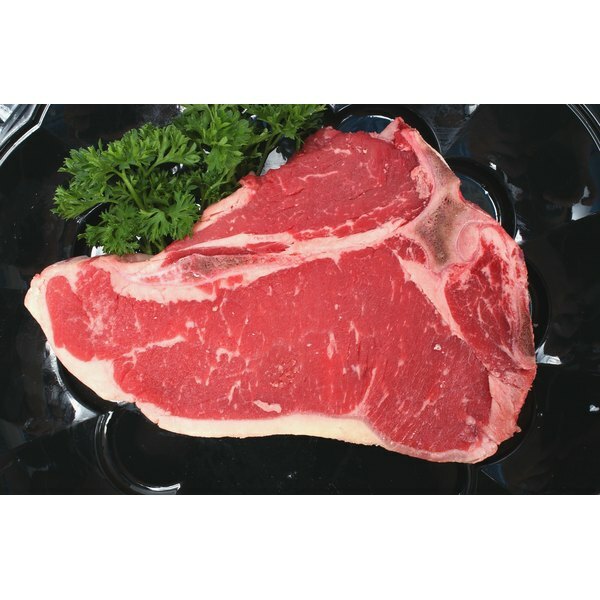 T-bone steaks are among the more popular on the market, and they come from the part of the animal between the short loin and the porterhouse. T-bones are made of two types of muscles -- the strip loin and the tenderloin. 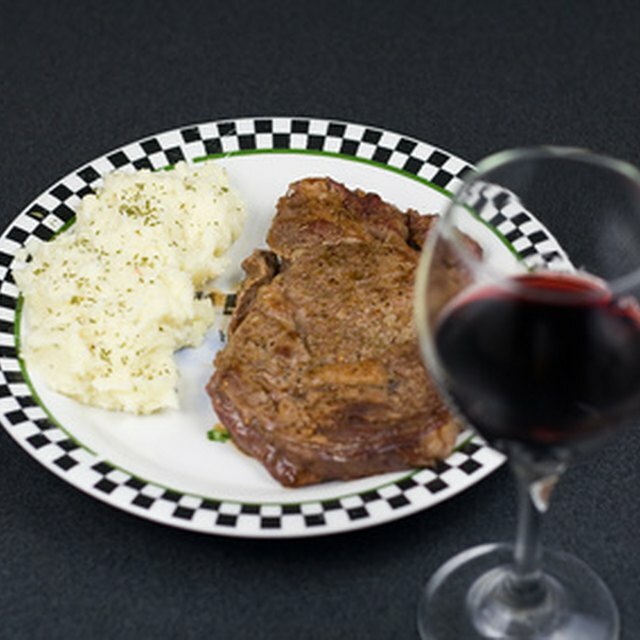 Although grilling is the go-to technique for many cooks, you can also cook delicious, tender T-bone steaks inside, using your stove or oven. The next best thing to throwing your T-bone steak on the grill is throwing it under the broiler. Place an oven-safe skillet or grill pan on a burner set to high heat and start preheating your broiler. Season the steak liberally with salt and pepper or your favorite spice blend. Once the pan is hot enough to smoke, put the steak into the pan and place the pan under the broiler. Broil the steak four minutes, flip it and let it cook for another four minutes before checking for doneness. Although you can use a cast-iron skillet and achieve delicious results, using a grill pan gives you attractive grill marks. You don't need to turn the oven on to cook a delicious, flavorful steak. All you need is a heavy-bottomed skillet, preferably one made from cast iron. Place the skillet on the stove and turn the burner on high heat. Add cooking oil and allow it to heat until it begins to smoke slightly. While the pan is heating, pat the T-bone steak dry and season both sides with black pepper and salt. Add the steak to the pan and let it cook for about four minutes, flipping it at least once. After the exterior of the steak is browned, put a couple tablespoons of butter onto the center of the T-Bone and add any herbs or aromatic vegetables such as shallots or garlic, if you’re using them. Continue cooking the steak, flipping it every now and then and basting it with butter from the pan, until the it is done. Adjust the heat if the steak starts to burn. Searing the steak before baking it builds delicious, deep, caramelized flavor. Grab a heavy-bottomed, oven-safe pan and place it over high heat. While the pan is heating, preheat the oven to 400 degrees Fahrenheit and pat the T-bone steak dry. Drizzle it with a little oil, salt and pepper. Once the oil is lightly smoking, put the T-bone into the pan. Sear the steak for two to three minutes on each side before placing the pan into the oven. Roast the T-bone steak until it's reached your preferred doneness. Remove it from the oven, transfer it to a plate and let it rest for three to seven minutes before topping it with an optional dollop of butter. No matter what cooking method you choose, using an instant-read thermometer is the most reliable way of checking to see if your steak is fully cooked. The U.S. Department of Agriculture recommends cooking steaks to an internal temperature of 145 F and allowing them to rest for three minutes.